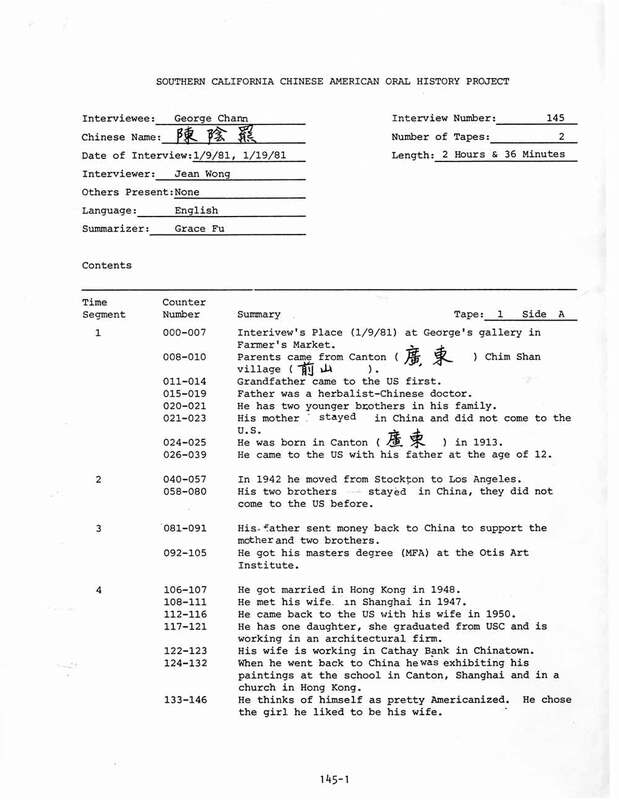 Transcription of audio recording of George Chann interview for the Southern California Chinese American Oral History Project on Jan 9, 1981 and Jan 19, 1981. Interviewer Jean Wong. Length of audio interview: 2 hours, 36 minutes. Length of transcription: 11 pages + index.